1996 Sea Ray 45 Sundancer 1996 Sea Ray 45 Sundancer .......... Freshwater ONLY pre-enjoyed Sea Ray with only 540 hours on the twin power 3126 caterpillars. This boat will not disappoint will definitely impress seeing as how the original canvas and vinyl are in excellent shape. 2010 Sea Ray 45 Sundancer 2010 SEA RAY 450 SUNDANCER w/ Twin 459hp Cummins CMD QSB Zeus Pod Drives This 2010 Sea Ray 450 Sundancer is absolutely impeccable. 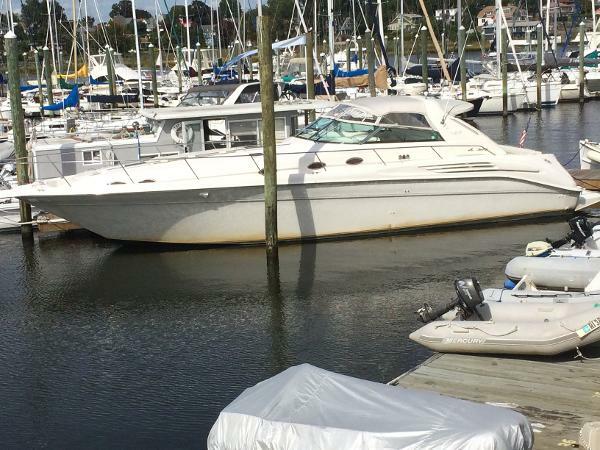 You will not find a cleaner example of a 450 Sundancer on the market today. Upgraded with all the right options including the larger Cummins Diesels mated to the revolutionary Zeus Pod system with the joystick control with Skyhook. 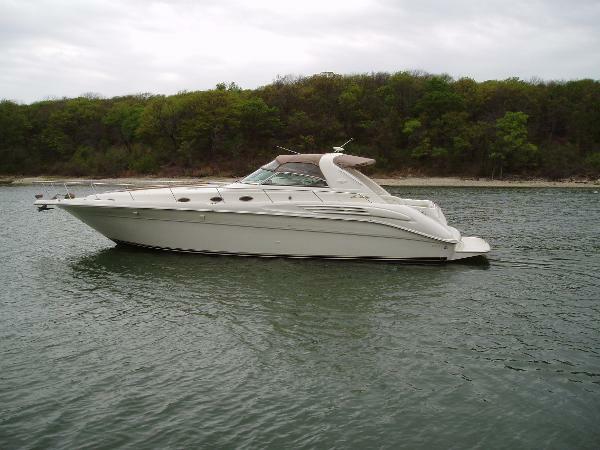 This is the perfect coupe to start your enjoyment creating memories on the water. The boat has always been moored in a covered slip in fresh water. 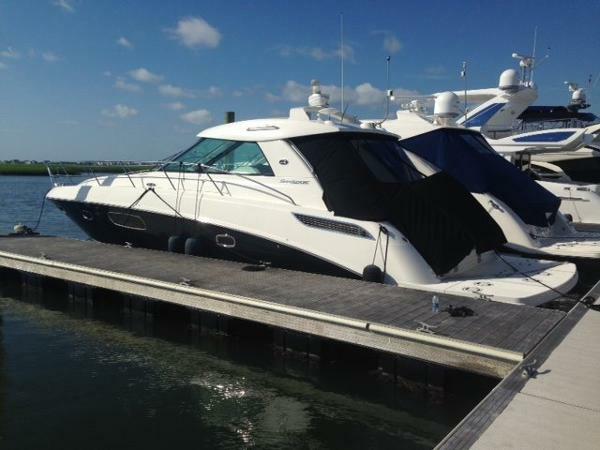 2010 Sea Ray 45 Sundancer This 2010 Sea Ray 450 Sundancer has always lived in Freshwater and is ready for a new owner! 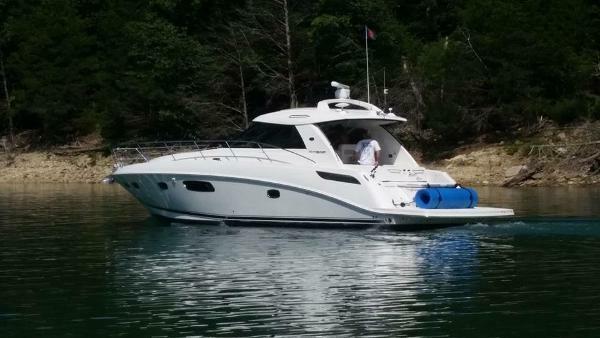 Equipped with 8.2L Mercruiser gas engines with joystick Axius docking controls and Skyhook virtual anchoring, this boat is the perfect platform for entertaining your family and friends and enjoying a nice night on the water. 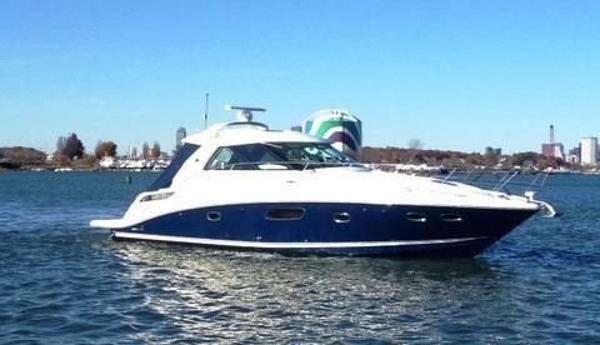 With a mid berth media room equipped with surround sound and a pull out sofa, there's not a better sport yacht on the market for that couple looking to enjoy their time on the water! 2012 Sea Ray 45 Sundancer A simply stunning 450 Sundancer equipped with all the right options: Cummins 380 Zeus with joystick docking, helm air, cockpit grill, cockpit TV, media room/aft stateroom with wide screen TV, gorgeous light cherry high gloss interior wood, upgraded Raymarine electronics, HD satellite TV, and so much more. Inquire today! 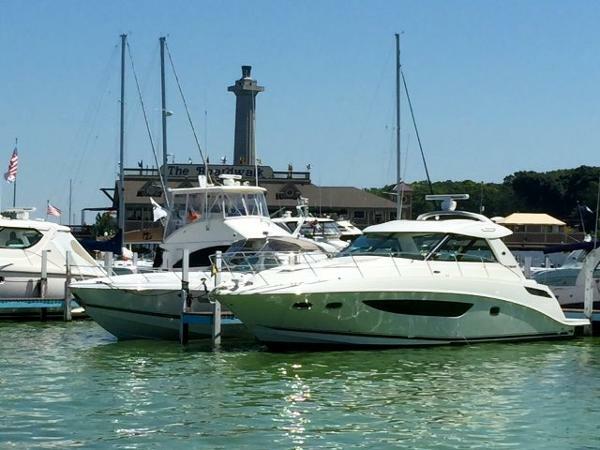 Stock # 133290 Our trade-in, includes: comprehensive 30-day mechanical warranty from date of delivery, a full service inspection, complete wash & cleaning, full tank of fuel, complete USCG Safety & Docking Package, day of delivery owner orientation, and a free 60 day Sea\\Tow membership. Financing arranged, trades welcome! 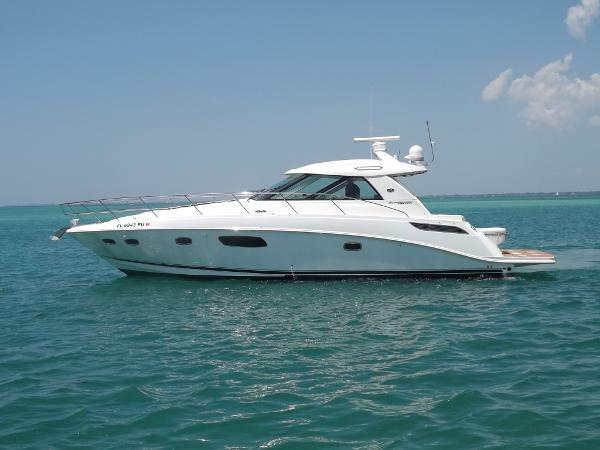 1998 Sea Ray 45 Sundancer Our 45 Sundancer 1998 is new to the Market and Shows in Exceptional Condition! 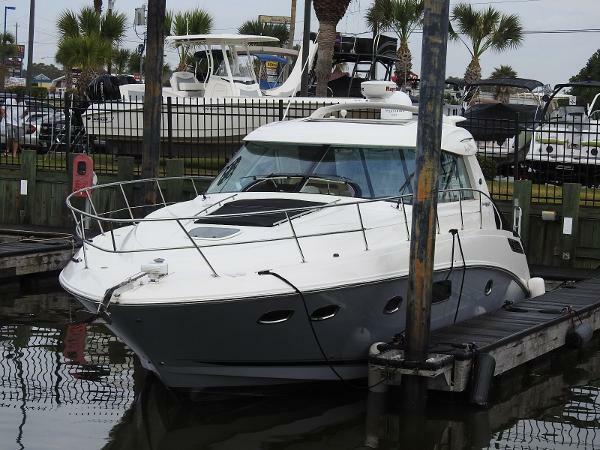 If you are in the market for a late model Sundancer this boat needs to be at the top of your list!45 Sea Ray 1998 Sundancer2 Stateroom 2 Head Layout3126 Caterpillar Diesels w/ 1708Annual Service Completed 2/16Full Detail 4/16New Captains Chair 2016Generator and Air ConditioningFull Sized Refrigerator / FreezerWasher /DryerCustom Sunpad Forward Deck2 New Flat Screen TV's Totaling 3 TV's This 45 Dancer is loaded with options and turn key ready to cruise. Call today to set up your showing! 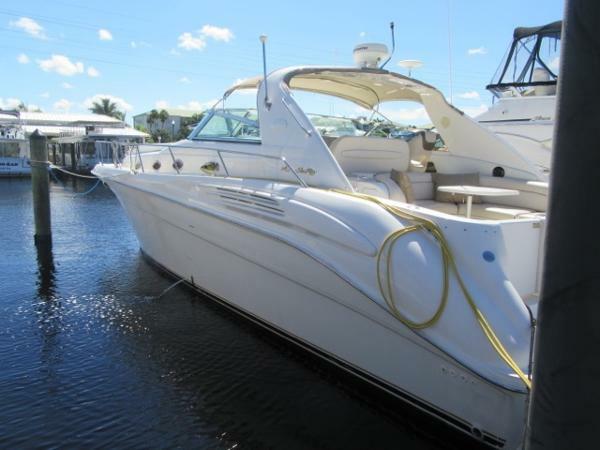 1997 Sea Ray 45 Sundancer Owner has found his next boat and wants this one sold! 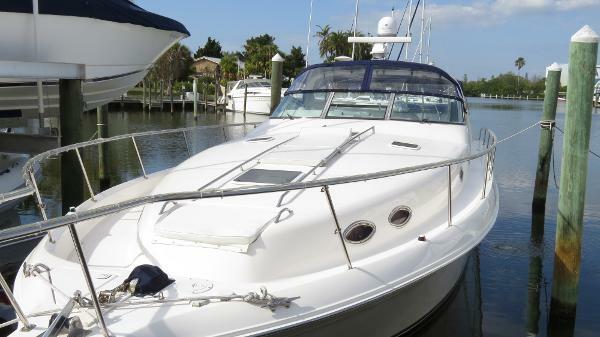 This boat has the desirable starboard side galley layout with a 14’ beam this is a huge 40’ boat measuring 48’1” LOA. Two stateroom, two head layout both with vacuflush toilets. 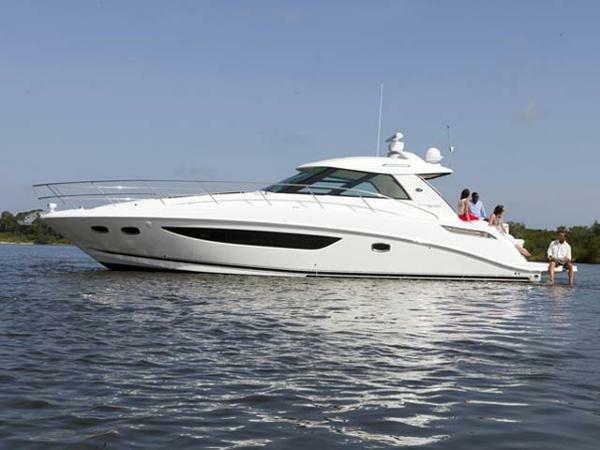 Equipped with twin Cat 3126TA – 407HP with 900 hours which will easily cruise the boat in the mid to low 20’s. Westerbeke diesel generator, new Garmin 1040XS 10.4” GPS, Raymarine radar, Ratheon autopilot, new ICOM VHF radio, new Fusion MS-AV7001 radio hooked up to the new Garmin screen and all new Fusion cockpit speakers, all isenglass is new, stainless steel windshield frame, dripless shaft seals. Recent survey is available upon request and all reasonable offers will be entertained. 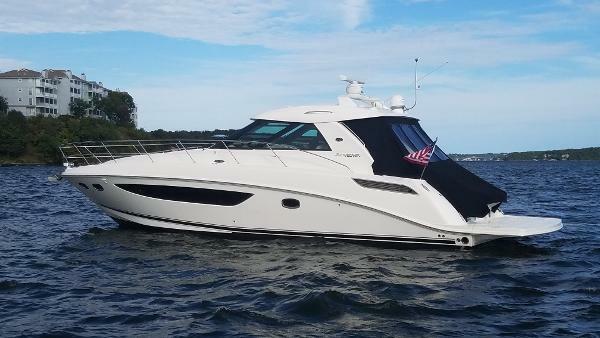 2013 Sea Ray 45 Sundancer SN 128606 **Passport Premier Extended Warranty Coverage through 12/15/2019** Here we have a one owner/fresh water 2013 Sea Ray 45 Sundancer powered with Twin 480 CMD QSB Cummins Zeus Drives (83 Hours). 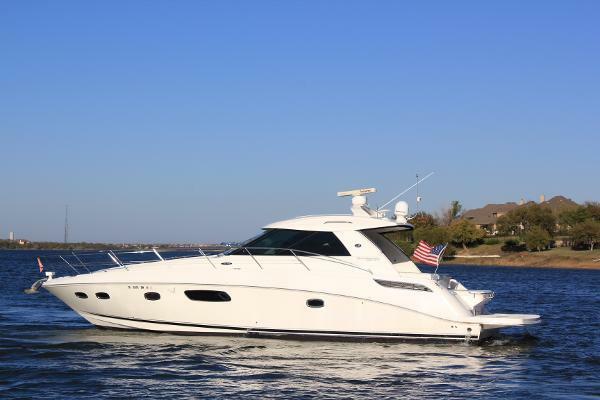 This Sea Ray is well equipped including the Raymarine E125 Radar, GPS, and Chart Plotter, Onan Diesel Generator, Cockpit AC, Cockpit Fridge, Bow Sun Pad, Ice Maker, Hard top with retractable sun roof, wet bar, central vac, wood flooring and dark cherry cabinets. 2013 Sea Ray 45 Sundancer 2013 Sea Ray 45 Sundancer - With Upgraded T- Cummins QBS 480 HO With ZEUS Drives.